This post is all about CBSE Improvement exam 2018 , here you can get complete information about this exam like application process, exam date, admit card, result and more. Central Board of Secondary Education (CBSE) shall be organizing the improvement examination every academic year for the students who are looking forward to perform better on their examination. This particular improvement examination is conducted by the CBSE every year after the results for the regular exams are released. The students do get a choice to appear for one particular examination in the improvement examination schedule, or even apply for all the five subjects. The CBSE Improvement Exam 2018 is conducted based upon the application forms that are received from their students. Every student who is willing to write improvement exam must fill up CBSE Improvement Exam Application Form 2018 to appear for the desired subjects. 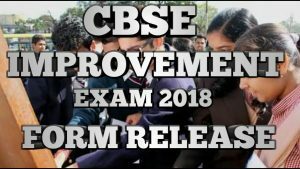 The CBSE Improvement Exam Date for both class 10 and class 12 students shall be released very soon, and mostly they shall be conducted between the months of July till September 2018. Check CBSE 10th and 12th Result 2018 here. 1 What is Eligibility Criteria for CBSE Improvement Exam ? 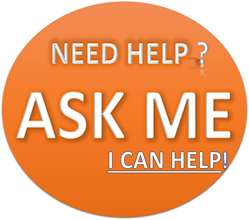 What is Eligibility Criteria for CBSE Improvement Exam ? The candidates who have passed their CBSE regular exam are eligible to appear for CBSE Improvement Exam. Any candidate who has failed in their regular exams shall not be counted as CBSE Improvement Exam Eligibility. These CBSE Improvement Exam Guidelines must be followed before applying for the examination. The improvement exams are conducted only for the students who have said to be cleared and passed in their regular board examination and not satisfied with the marks which they are scored from them. Only interested students can apply for the improvement examination and it is not a mandatory one. The CBSE Improvement examination can be used by the students to appear for one particular subject, in which they have scored low marks or not satisfied with their performance, or even apply for every other subjects, it’s up to the individual’s decision. If at all a student has failed in a subject, they cannot appear for the same in the improvement exam. Enter down the application number and follow up with the instructions at the Confirmation page to complete your CBSE Improvement Exam Online Application Procedure. The CBSE Improvement Exam Admit card shall be released on their official web portal a week before the original date of examination. The admit card shall hold every other details regarding the student, the exam they are about to appear for, a passport size photograph along with their digital signature and their date of birth. The admit card is issued to confirm the identity of the candidate who are about to appear at the CBSE improvement examination. The aspirants must carry over the admit card to their allotted examination centre to enter inside the examination hall. The CBSE Improvement Exam Results shall be released within two weeks of time at their official web portal.